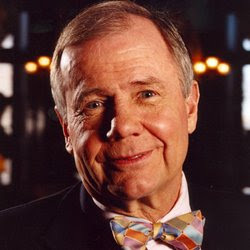 IndianStocksNews.com: Jim Rogger's Investment Guidance On Where To Invest Now..
Jim Rogger's Investment Guidance On Where To Invest Now..
Jim Rogers is a legendary investor, a swashbuckling traveller, a man who made his fortune before he turned 40. Now, he is an author and commentator. The man Times magazine once called the Indiana Jones of the world of investing has now morphed himself into a modern dad. In an exclusive interview with Ramesh Damani on CNBC-TV18's show RD 360, Roger discusses his latest book, A Gift to My Children: A Father’s Lesson in life and investing. On the economic scenario right now, Rogers said we are in for an extended period of difficult times. Jim Rogers' investment strategy is to look countries where valuations are cheap or paths that are less trodden. He said, "I do try to find things that are cheap. Normally if something is cheap, it is because it is in the dustbin. People are not looking at it. If everybody is looking at something or if everybody is investing in something, you know as well as I do that it is not cheap. That is how he said he realised commodities was a good play in the 90s. I came to the conclusion at the end of the ‘90s that the commodities had been in a bear market for about 20 years because there had been excess supply in the 70s. But by the end of the 90s, I came to the conclusion that nobody built a drilling rig for 20 years and nobody had been discovering oil, farming had been a terrible business, farmers were going bankrupt all over the world. So, I realised that is going to mean there is less supply." Here is a verbatim transcript of Jim Roger’s exclusive interview on CNBC-TV18. Q: You came into fatherhood fairly late, didn’t you? A: Yes. I always felt sorry for people who had children. I never wanted to have a child. I thought children were a terrible waste of time, energy, and money. I literally felt very sorry for people who had children. I was never going to do something so foolish. I was totally, unbelievably wrong. I am telling you, it is the best thing that has happened to me. If there is anybody watching this show who has not had children, I urge you to get home and get on with it. You take a day off if you have to. You don’t take a day off these days, go home for lunch. But you should definitely have children. Q: Let’s talk about the lessons in investing, some of which you have outlined in your book. The first lesson is, how do you size up a country? Can you give us an example of which country you are sizing now? A: As I look around the world right now, I am not investing in many countries because if I am right about the world economy, we are in for an extended period of difficult times. So, the only place where I bought shares in the past year or so has been China. I have got Sri Lanka on my mind. It is just that I have been busy doing other things that I haven’t been able to get to Sri Lanka. But one of the things that I have learnt is that if you get to a country after a long and bitter war, you usually will find that things are very cheap, you will find a lack of capital, there is low morale, and everything is despondent, and there are usually great opportunities. So, Sri Lanka is on my list as a place where that sort of thing is happening, but there are not many, not these days. Q: How do you size up a country? What are you looking for? A: I am looking for two things. I am looking for them to be cheap, for whatever reason: War is a good reason. Cheap and change, where there is some kind of positive change taking place. Sri Lanka is cheap, because it has had a 30-year war and if I am right there is positive change because the war is over now. So, there is going to be peace and so the country can spend a lot of its time, energy and money on pursuing peaceful pursuits. Q: When you gave an idea and people laughed, is that actually a good sign? A: Yes. You know that, you have been investing a long time that the more sceptical people are – it doesn’t mean you are right because sometimes I am wrong anyway and I am sure you are wrong too sometimes and sometimes the sceptics are right. But the more scepticism there is, in my experience anyway usually you are probably on to something good, especially if there is a lot of scepticism or ridicule. Ridicule is even better. When they ridicule your idea you are probably really on the right track. Q: The way your method works is. You look at the dustbins; you look where people are bearish because that is where you find the bargains? A: Frequently, I do try to find things that are cheap. Normally if something is cheap, it is because it is in the dustbin; people are not looking at it. If everybody is looking at something or if everybody is investing in something, you know as well as I do, it is not cheap. Q: More certainty equals less profit? Q: A good lesson in investing is learning the laws of supply and demand. Can you explain that to us? A: It is very simple. I came to the conclusion at the end of the ‘90s that the commodities had been in a bear market for about 20 years because there had been excess supply in the ‘70s, people found oil and a lot of things happened, huge inventories of food buildup. But then by the end of the ‘90s, I came to the conclusion that nobody built a drilling rig for 20 years and nobody had been discovering oil, farming had been a terrible business, farmers were going bankrupt all over the world. So, I realised that is going to mean there is less supply. I had driven around the world a couple of times as you know, and I could see that demand was booming. I mean Asia was exploding. The difference in Asia in 1998 and in 1978 was very dramatic. So, I could see that demand was going up for 20 years, and supply going down and that had to mean that the bear market in commodities was going to come to an end. So, I started buying commodities for the first time in the last 15-20 years at that time. Lo and behold, I got it right. Sometimes I get it right. Q: That works every time, the law of supply and demand. No dictator, no monetary authority has ever been able to change that? A: They all try. Not just dictators, democracies try. I mean the Indian government, the American government. They all try to abolish the laws of supply and demand, think that they are smarter than anybody else. Periodically, governments put price controls on to food. Recently, the Filipinos put price controls on rice. Now if you were a farmer, you are not going to go into the field over 12 hours a day in the hot sun to raise rice if the government says you can only sell it for 2 pesos. You are just not going to do it. Q: As Russia found out also? A: As everybody finds it, every time they try it they always find out. No politician is going out there in the hot sun to work 12 hours a day to sell rice for 2 pesos, I promise you. Indians find out periodically. Your government’s always doing absurd things, so is mine. It just doesn’t work. You cannot repeal the laws of supply and demand. Q: So the black market price is a good indicator of government policies? A: Yes. You will need to find that there is a black market price with a very high premium or you’ll find that there is no supply at any price depending on how draconian the government is. If they execute you for selling something on the black market, there is usually nothing at any price. The government’s can sit there and yell all day long. Evil capitalists or evil speculators. Listen, you set the price too low, nobody is going to produce and you will have nothing. Q: Whenever you hear the word new era or this time it is different, what are the lessons that you learn and are you seeing anywhere that people are talking? A: Anybody who has read anything to do with financial history knows that every time there is a new era or that it is different this time, or that there is a new economy, those are signals. You hear a bell ring; you know that something is wrong. Some of the most dangerous words are, it is different this time, because it is not different this time. The laws of supply and demand, the laws of greed and fear, the laws of economics just don’t change. Q: But markets can remain irrational for long periods of time? A: Oh yes. It was Keynes who said that, “The market can stay irrational longer than you can stay solvent”. Well it certainly happened to me at times you know. I would sell something short. No way, it is too high, only to see it go higher and higher. I’ve learned the difficult way. Some of the things right now, right now everybody seems to be convinced that government bonds are going to go through the roof and that government bonds are a safe investment. Everybody seems to be convinced that there is deflation in the world. Long-term government bonds are yielding nothing. A: They perceive safety and they perceive – you don’t have to worry about inflation, deflation is here. So, you can buy long-term government bonds. In my view that is one of the next great bubbles, which is developing. I am not short bonds at the moment. I have them but I cover. That is a huge bubble. Apparently if you look at the market, most people don’t think inflation is coming – if government bond yields are any indication – nobody thinks that inflation would ever come back. So, I am afraid, I think that that is probably the next bubble developing. Q: Let’s talk about something that you have been bullish on, the dustbin of history: Airline stocks? A: Yes, I have been, they are not doing much good right now. I think I see that the supply demand – I mean nobody has been building airplanes. All the airlines have lost huge amounts of money over the past nine years now. It is a terrible place to be. Many of them went bankrupt. Normally, when I see a lot of companies in an industry going bankrupt, it is a good sign that we are near a bottom, which is what initially attracted me to the airlines this time around. So, I have been buying international airline stocks. Most of them are down from where I bought them, fortunately not down a whole lot. I am still convinced because I don’t see anybody building a lot of planes. I don’t think we are all going to take boats to London again, or New York. I think we are probably going to continue to fly. Q: It is almost an irreplaceable business? A: It seems to me. We also know that throughout history many people who have managed airlines haven’t done a horrible job of managing airlines, which again means that if you don’t have enough seats eventually we’re probably all going to fly on planes and eventually they are going to make money. So, I am convinced this is one of the places that will come out of this, if we have to come out of this in a good way. I am much more optimistic about commodities than I am about any stocks right now. But that is one place where I bought some shares a year or so ago. Q: One lesson you mentioned that you wanted to teach your daughter is that, economics and markets are two different things. Can you explain that? A: Yes. Let’s look at China. The Chinese economy has boomed for quite some time. But between 2001 and 2005, the Chinese stock market went down every year for four years in a row, even though the economy was going through the roof. So, just because an economy is strong doesn’t mean you can have a good stock market, and just because an economy is weak – they don’t necessarily go together. In the long-term of course there is some correlation. But don’t think that good news means good stock market. Q: Philosophy and history are important subjects to learn? A: In my view, yes. Philosophy teaches you how to think. I was not very good when I was in university in philosophy. In fact I think that was probably one of my worst subjects. Later I realised what they were trying to do. They were trying to teach me after I had graduated but it certainly did teach me. Q: Why is it important in investing? A: It teaches you to be sceptical. It teaches you to think. Like if you hear something from somebody it makes you stop and think. Now, could that possibly be true? Merrill Lynch says it, Morgan Stanley says it then it must be true. I don’t know if it was the philosophy that I studied or what but I have learnt that when you hear all that kind of stuff, when everybody is thinking the same way, somebody is probably not thinking and so you better do your scepticism. That is one of the things that philosophy taught me, as I though I wasn’t very good at it when I was in University. History teaches you that the world is always changing. Pick any decade, 15 or 20 years later the world is dramatically different. Q: There are lessons that you interrelate to the market with this, in terms of Asian or the American century? A: Again, whatever you see now is not going to be true if somebody comes to you and says that this company is a great growth stock and in 15 years they are going to own the world. Rarely has that been the case. Remember the projections that were made about dotcom companies, only 10 years ago. Well if those projections had been true, the whole world would be one big dotcom. Dotcom has come a long way but it not one big dotcom world. Q: One of the things you stress, in your own personal life and for your daughters, is savings. Tell me about it, tell me about the lessons, savings you did and how you teach your daughters? A: My oldest daughter is six years old. When she was born, I got her a piggy bank and a globe, an atlas so that she can learn about the world, but she’s got five piggy banks now and I tell her that she has to earn her money and she has to save her money and if she wants to buy something like a Barbie doll, which she loves, she has got to go take her own money. She always tries to get her daddy to buy it for her. I certainly buy her clothes and things like that. But things like Barbie Doll and she has got to get her own Barbie doll, and I see that she is learning the value of money because I see that she doesn’t want to take her money out of the bank and put it to buy something. So, I think she is learning the value of money and that is the main thing. You must know this, many people just don’t seem to understand money or be able to handle money or control themselves with money. I know that is extremely important. If you have savings, and something goes wrong, you are in much better shape than the people who don’t have savings when something goes wrong and you can cope better. Equally important, if you have some money saved up and an opportunity comes along, you can do something about it. If you have got Rs 10,000 and you see a great opportunity, you can see opportunity. But if you are Rs 10,000 in debt, and a great opportunity walks in the door, you sit there helpless. Q: The one thing that stood out in your career and a lot of successful investors is passion, the importance of being 24 hours in the market. Talk to me about the importance, why is it important to have that in children? A: I try to speak to my little girl. The thing that I have found, people who love what they do are normally successful people. It doesn’t matter what you love. If you want to be a gardener, and your parents say no you’ve got to be a lawyer, or a doctor or an accountant, you should really go be a gardener because that is what you are going to love. People may laugh at you but you love it so much, you’ll never go to work. You wake up every day and you can hardly wait to have fun. You are going to be much more successful at it. Some day you are going to be the gardener at Buckingham Palace, some day you are going to be the gardener for Hyde Park, some day you are going to have a chain of gardening shops all over the world, and be listed on the Mumbai Stock Exchange or the New York Stock Exchange. And you will be extremely rich and really successful, and even if you are not terribly rich and successful you are going to be a lot better off than all those guys who are lawyers who hate being lawyers and are doing it because they have to make money because their parents said become a lawyer, or their wives said we need the money. No, pursue your own passion. And that is where you will be successful. Q: The best advice that you said in the book that you could give anyone was learn Mandarin. Why? A: If I am right in the 21st century then China is going to be the great country of the 21st century. The 19th century was the century of the UK. The 20th century was the century of the US. The 21st century is going to be the century of China. My little girls were born in 2003 and in 2008. I think that the best skill that I can give people born in those years is to know Mandarin and to know Asia. We sold our place in New York and we moved to Asia because I want my little girls to know Asia and specifically I want them to know Mandarin. There are other countries in Asia; there are other countries in the world. But in my view, China is the one that is going to dominate this century and Mandarin is going to be the most important language. Q: What would be the best piece of investment advice that you ever got? A: Buy low and sell high. No, the real one is do your homework. Do not listen to what other people tell you. A: Be very attentive to detail. Cover all the bases; most people don’t cover the bases. If you read an annual report for a company on Wall Street, you would have done more than 98% of the people on Wall Street. A: Come on, you know that. How many people in India ever bother to read the annual report? They get hot tips if somebody says, they see it on TV or read it in the newspaper and very few of them read the annual report. None of them read the notes to the annual report. If you just do simple things like that, you’re way ahead of everybody else, but that does not mean you are going to be successful. I promise you. But if you’ve learnt to cover all the bases, if you cover attention to detail, and you are sceptical, chances are that you’ll be a successful investor. Q: You also said stock traders should learn how to drive tractors? That is where the money is, the next decade? A: What I said was, the last 30 years has been an era in the developed world where finance has been the centre. The ‘80s, ‘90s and this decade, people in Wall Street, the City of London, once you had all the money and the influence. We’ve had many periods like that in history but we have also had many periods in history when it is the people who produce real things, whether it is miners or farmers or whatever, where they have been the centre. In my view, we are in a historic shift now away from the financial centres to the people who produce real goods. Farming has been one of the worst professions, the worst jobs for the past 30 years. I am telling you that in my view, farming is going to be one of the great professions in the next 30 years. All these people who were stockbrokers should turn in their degrees and go down and learn how to drive a tractor. They will be a lot better off. Atleast they will be working for rich farmers if nothing else and if they are smart they will become the rich farmer themselves.